Sam Kerr exploded for the Chicago Red Stars on Saturday night, scoring twice and earning an assist to lead her team to a 3-1 victory over the Orlando Pride at Orlando City Stadium in Orlando, Florida. The loss for the Pride knocks them out of the playoff race and drops them to 8-9-6 and 30 points. The Red Stars keep their playoff hopes alive and improve to 8-4-10 and 34 points. The win for the Red Stars snaps their three-game tie streak and puts them in fourth place in the league standings, leaping over Utah Royals FC. They are unbeaten in their last six games. Kerr took the lead in the Golden Boot race on Saturday night and now has 14 goals on the season. She opened up scoring for the Red Stars in the 44th minute and then chipped in an assist to Vanessa DiBernardo in the 46th minute. Kerr’s second goal of the night came in the 59th minute. Orlando Pride forward Alex Morgan got one back for her team in the 65th minute. Orlando Pride goalkeeper Ashlyn Harris had her work cut out for her on the night and came up with her first big save of the night in the 26th minute, denying Chicago Red Stars midfielder Alyssa Mautz’s shot. Kerr continued to sniff for the goal in the first half and Harris made a huge kick-save in the 30th minute to deny Kerr’s one-v-one chance. Pride defender Carson Pickett had Orlando’s best offensive chance in the first half striking one on frame from a distance, but Red Stars goalkeeper Alyssa Naeher made the stop to keep it scoreless in Orlando. Kerr scored her 13th goal of the season in the 44th minute, breaking down the Pride’s backline and then slipping one far post past Harris for the 1-0 lead. In the first minute of first half stoppage time, Kerr played DiBernardo a pass back to the top of the box and DiBernardo hit it one-time past Harris for the 2-0 lead before the half. In the second half, Pride defender Ali Krieger made a recovery run and denied a dangerous Chicago chance in the box. She managed to beat Nagasato to the goal and made a crucial stop to keep the game within two. Kerr wasn’t done yet, and in the 59th minute stole the ball from Pride defender Alanna Kennedy and slipped it past Harris for the 3-0 lead. Kerr finished the game with 10 shots and four key passes. In the 65th minute, Marta and Morgan combined to get one back for the Pride. With the ball on the left side, Marta sent a cross to the near post, finding Morgan’s head. Morgan flicked it past Naeher — her fifth goal of the season. Harris made six saves in the loss and Naeher collected five. The Red Stars outshot the Pride 9-5. The Red Stars have two more games remaining on the season and will next face Sky Blue FC on September 4. The Pride will close out their season against Sky Blue FC on Saturday, September 8. Match ends, Orlando Pride 1, Chicago Red Stars 3. Second Half ends, Orlando Pride 1, Chicago Red Stars 3. Foul by Rosie White (Chicago Red Stars). Dani Weatherholt (Orlando Pride) wins a free kick in the defensive half. Nikki Stanton (Chicago Red Stars) wins a free kick in the defensive half. Foul by Marta (Orlando Pride). Foul by Michele Vasconcelos (Chicago Red Stars). Substitution, Chicago Red Stars. Rosie White replaces Vanessa Di Bernardo because of an injury. Delay in match Vanessa Di Bernardo (Chicago Red Stars) because of an injury. Attempt saved. Alanna Kennedy (Orlando Pride) right footed shot from a difficult angle on the left is saved in the centre of the goal. Substitution, Chicago Red Stars. Nikki Stanton replaces Yuki Nagasato. Ali Krieger (Orlando Pride) wins a free kick in the defensive half. Attempt missed. Marta (Orlando Pride) left footed shot from outside the box is close, but misses to the right. Assisted by Chioma Ubogagu. Foul by Yuki Nagasato (Chicago Red Stars). Ashlyn Harris (Orlando Pride) wins a free kick in the defensive half. Corner, Chicago Red Stars. Conceded by Mônica. Mônica (Orlando Pride) is shown the yellow card for a bad foul. Samantha Kerr (Chicago Red Stars) wins a free kick in the attacking half. Foul by Mônica (Orlando Pride). Attempt missed. Samantha Kerr (Chicago Red Stars) header from very close range is too high. Assisted by Vanessa Di Bernardo with a cross following a corner. Corner, Chicago Red Stars. 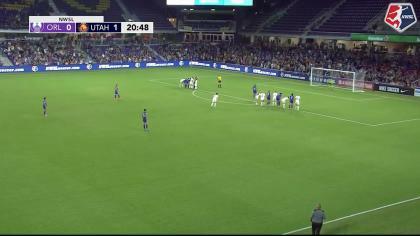 Conceded by Ashlyn Harris. Shelina Zadorsky (Orlando Pride) is shown the yellow card for a bad foul. Samantha Kerr (Chicago Red Stars) wins a free kick in the defensive half. Foul by Shelina Zadorsky (Orlando Pride). Attempt blocked. Marta (Orlando Pride) left footed shot from outside the box is blocked. Assisted by Alanna Kennedy. Attempt blocked. Alanna Kennedy (Orlando Pride) right footed shot from outside the box is blocked. Offside, Chicago Red Stars. Casey Short tries a through ball, but Katie Naughton is caught offside. Corner, Chicago Red Stars. Conceded by Chioma Ubogagu. Substitution, Chicago Red Stars. Michele Vasconcelos replaces Alyssa Mautz. Offside, Orlando Pride. Marta tries a through ball, but Alex Morgan is caught offside. Attempt saved. 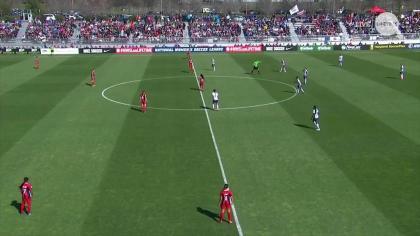 Samantha Kerr (Chicago Red Stars) right footed shot from the left side of the box is saved in the bottom right corner. Assisted by Vanessa Di Bernardo. Substitution, Orlando Pride. Christine Nairn replaces Carson Pickett. Attempt blocked. Rachel Hill (Orlando Pride) right footed shot from outside the box is blocked. Corner, Orlando Pride. Conceded by Arin Gilliland. Attempt missed. Casey Short (Chicago Red Stars) header from the centre of the box misses to the right. Assisted by Vanessa Di Bernardo with a cross following a corner. Corner, Chicago Red Stars. Conceded by Shelina Zadorsky. Goal! Orlando Pride 1, Chicago Red Stars 3. Alex Morgan (Orlando Pride) header from the left side of the six yard box to the bottom right corner. Assisted by Marta with a cross. Foul by Alyssa Mautz (Chicago Red Stars). Carson Pickett (Orlando Pride) wins a free kick in the defensive half. Yuki Nagasato (Chicago Red Stars) wins a free kick on the right wing. Foul by Carson Pickett (Orlando Pride). Substitution, Orlando Pride. Mônica replaces Camila. Attempt missed. Alanna Kennedy (Orlando Pride) right footed shot from the right side of the box misses to the right. Offside, Chicago Red Stars. Arin Gilliland tries a through ball, but Yuki Nagasato is caught offside. Offside, Orlando Pride. Alanna Kennedy tries a through ball, but Chioma Ubogagu is caught offside. Goal! Orlando Pride 0, Chicago Red Stars 3. Samantha Kerr (Chicago Red Stars) right footed shot from the centre of the box to the bottom left corner. Foul by Camila (Orlando Pride). Attempt missed. Samantha Kerr (Chicago Red Stars) right footed shot from outside the box misses to the right. Assisted by Yuki Nagasato following a fast break. Substitution, Orlando Pride. Rachel Hill replaces Kristen Edmonds. Attempt blocked. Alyssa Mautz (Chicago Red Stars) left footed shot from the right side of the box is blocked. Offside, Orlando Pride. Carson Pickett tries a through ball, but Chioma Ubogagu is caught offside. Attempt saved. Alanna Kennedy (Orlando Pride) header from the centre of the box is saved in the bottom right corner. Assisted by Carson Pickett with a cross. Camila (Orlando Pride) wins a free kick on the left wing. Delay in match Samantha Kerr (Chicago Red Stars) because of an injury. Attempt saved. Yuki Nagasato (Chicago Red Stars) left footed shot from the left side of the box is saved in the bottom right corner. Assisted by Samantha Kerr. Second Half begins Orlando Pride 0, Chicago Red Stars 2. First Half ends, Orlando Pride 0, Chicago Red Stars 2. Goal! Orlando Pride 0, Chicago Red Stars 2. Vanessa Di Bernardo (Chicago Red Stars) right footed shot from the centre of the box to the bottom left corner. Assisted by Samantha Kerr. Attempt saved. Marta (Orlando Pride) left footed shot from outside the box is saved in the centre of the goal. Assisted by Camila. Goal! Orlando Pride 0, Chicago Red Stars 1. Samantha Kerr (Chicago Red Stars) right footed shot from the centre of the box to the bottom left corner. Assisted by Yuki Nagasato. Camila (Orlando Pride) is shown the yellow card for a bad foul. Danielle Colaprico (Chicago Red Stars) wins a free kick in the defensive half. Alyssa Naeher (Chicago Red Stars) wins a free kick in the defensive half. Foul by Alanna Kennedy (Orlando Pride). Corner, Orlando Pride. Conceded by Alyssa Naeher. Attempt saved. Carson Pickett (Orlando Pride) left footed shot from outside the box is saved in the top right corner. Assisted by Chioma Ubogagu. Corner, Orlando Pride. Conceded by Casey Short. Attempt saved. Samantha Kerr (Chicago Red Stars) right footed shot from the centre of the box is saved in the centre of the goal. Assisted by Danielle Colaprico. Attempt missed. Samantha Kerr (Chicago Red Stars) right footed shot from outside the box is close, but misses the top left corner. Assisted by Yuki Nagasato. Attempt blocked. Samantha Kerr (Chicago Red Stars) header from the centre of the box is blocked. Attempt saved. Samantha Kerr (Chicago Red Stars) right footed shot from the centre of the box is saved in the centre of the goal. Assisted by Vanessa Di Bernardo with a through ball. Attempt saved. Vanessa Di Bernardo (Chicago Red Stars) header from the centre of the box is saved in the bottom right corner. Assisted by Samantha Kerr with a cross. Corner, Chicago Red Stars. Conceded by Ali Krieger. Attempt saved. Alyssa Mautz (Chicago Red Stars) right footed shot from the right side of the box is saved in the top left corner. Assisted by Samantha Kerr with a through ball. Attempt missed. Alex Morgan (Orlando Pride) header from the centre of the box is close, but misses to the left. Assisted by Chioma Ubogagu. Offside, Chicago Red Stars. Julie Ertz tries a through ball, but Samantha Kerr is caught offside. Foul by Katie Naughton (Chicago Red Stars). Alex Morgan (Orlando Pride) wins a free kick in the attacking half. Chioma Ubogagu (Orlando Pride) wins a free kick in the defensive half. Offside, Chicago Red Stars. Yuki Nagasato tries a through ball, but Samantha Kerr is caught offside. Offside, Chicago Red Stars. Vanessa Di Bernardo tries a through ball, but Yuki Nagasato is caught offside. Offside, Chicago Red Stars. Morgan Brian tries a through ball, but Casey Short is caught offside. Attempt blocked. Vanessa Di Bernardo (Chicago Red Stars) right footed shot from outside the box is blocked. Assisted by Morgan Brian. Attempt missed. Vanessa Di Bernardo (Chicago Red Stars) header from the centre of the box misses to the left. Yuki Nagasato (Chicago Red Stars) wins a free kick on the left wing. 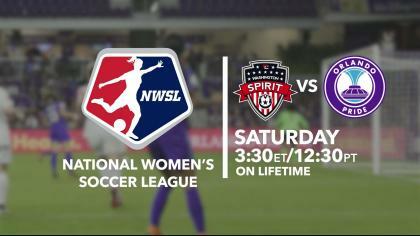 Delay in match (Orlando Pride). Offside, Orlando Pride. Camila tries a through ball, but Alex Morgan is caught offside. Foul by Danielle Colaprico (Chicago Red Stars). Attempt missed. Samantha Kerr (Chicago Red Stars) left footed shot from the left side of the box misses to the right. Assisted by Danielle Colaprico.